Anthropologist Grant McCracken, AM’76, PhD’81, brings popular culture to corporations. 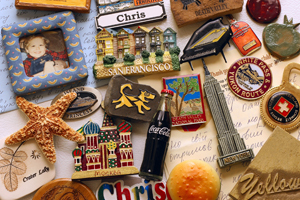 A CCO, argues McCracken, should observe everything from pop culture to refrigerator magnets. Not so fast, says Grant McCracken, AM’76, PhD’81, in his December 2009 book, Chief Culture Officer: How to Create a Living, Breathing Corporation (Basic Books). The show was about a mob boss on Prozac—and that’s what made it so successful. Bewkes and Albrecht tapped into American culture, adapting for television the popular mafia film genre, replete with grand emotional gestures, dramatic violence, and a high-flying yet anxiety-riddled protagonist à la Michael Corleone or Henry Hill. The HBO execs were acting as “chief culture officers,” in McCracken’s terms, and the corporate world needs more people like them. Instead of depending on a 20-year-old intern to explain what’s happening in the world, CEOs should appoint a CCO: someone in the organization’s upper echelons who studies ever-changing preferences in music, technology, and television among Americans of all ages, as well as “everything beneath the surface,” such as the fridge magnets families use to transform a house into a home (or to keep the take-out menus handy). His thesis has struck a chord: BusinessWeek named Chief Culture Officer one of the best innovation and design books of 2009. The concept of a CCO stems from McCracken’s anthropology background. A Vancouver native, he wrote his dissertation on self-presentation and gesture exchange between aristocrats and commoners in Elizabethan-era London. He delved into the nuances of Elizabethan clothing, a topic that helped him secure a professorship in the consumer-studies department at Ontario’s University of Guelph, where he taught a course on the history of costume and another on the psychology of contemporary clothing. That assignment spurred McCracken to become, as he describes it, “a self-funding academic.” A research affiliate with MIT’s Convergence Culture Consortium, he spends half the year conducting anthropological research on contemporary North American culture and the other half as a consultant, traveling the continent to carry out ethnographic interviews with client-identified subjects of varying age, income, location, and ethnicity. When he consulted for ConAgra Foods, for instance, McCracken spoke with families about their notions of food, cooking, and home. He also interviewed chefs, nutritionists, and other food professionals. Before Chief Culture Officer McCracken published seven books, including Culture and Consumption I (1988) and II (2005), which took an academic approach to how culture and commerce shape one another. All the while, he’d wanted to write a practical book about why corporations should monitor popular culture but wasn’t sure how to frame the argument. Then in October 2008 he addressed designers at an American Institute of Graphic Arts conference. While encouraging them to share their cultural knowledge with higher-ups at work, he threw out the term chief culture officer. “You could feel this little perturbation run through the room; people kind of snapped to,” says McCracken. “And then at drinks afterward, people kept coming up to me and saying, ‘CCO—that’s perfect.’ One actually said, ‘That’s what I want to be when I grow up.’” McCracken realized that he’d found his hook. Hoping to write the book for fall ’09 publication, he returned to posts he’d written for his blog, and the mounds of material he’d collected through his consulting interviews. Obliged to keep private information he gleaned for the corporation, McCracken could cast a wider net for ethnography. “All the stuff that the corporation doesn’t need or care about, you can draw on for anthropological purposes.” He could use, for instance, ideas culled from observing the actions and preferences of others.